The new species was a 10-foot-long animal that lived in the warm, shallow seas that covered much of what is now Europe. Powerful jaws and big, serrated teeth allowed it to feed on large prey, such as prehistoric squid. Palaeontologists at the University of Edinburgh discovered the new species - which dates back 163 million years - by studying a heavily damaged fossil which was held in the Natural History Museum's archives for almost 150 years. The ancient reptile - called Ieldraan melkshamensis - has been nicknamed the Melksham Monster after the town in England where it was unearthed. Until now, it was thought that the sub-family of prehistoric crocodiles to which the new species belongs - known as Geosaurini - originated in the Late Jurassic period, between 152 and 157 million years ago. 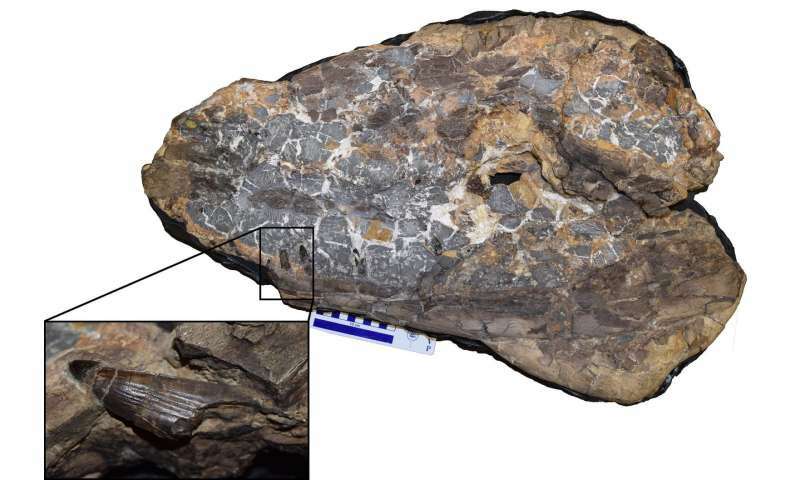 However, the latest discovery - together with detailed re-analysis of existing fossil evidence - suggests that the group arose millions of years earlier, in the Middle Jurassic, the team says. The little-studied specimen - acquired by the museum in 1875 - was identified as a new species based on distinctive features of its skull, lower jaw and, in particular, its teeth. The study, published in the Journal of Systematic Palaeontology, was carried out in collaboration with the Natural History Museum, London. The research was funded by Marie Sklodowska-Curie Actions. Davide Foffa, a PhD student in the University of Edinburgh's School of GeoSciences, who led the study, said: "It's not the prettiest fossil in the world, but the Melksham Monster tells us a very important story about the evolution of these ancient crocodiles and how they became the apex predators in their ecosystem. Without the amazing preparation work done by our collaborators at the Natural History Museum, it would not have been possible to work out the anatomy of this challenging specimen." 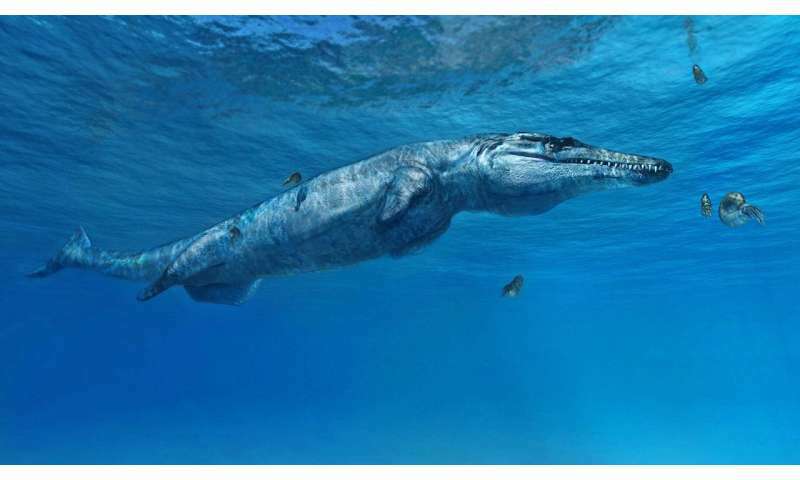 Dr Steve Brusatte, of the University of Edinburgh's School of GeoSciences, who was involved in the study, said: "The Melksham Monster would have been one of the top predators in the oceans of Jurassic Britain, at the same time that dinosaurs were thundering across the land." Mark Graham, Senior Fossil Preparator at the Natural History Museum, said: "The specimen was completely enclosed in a super-hard rock nodule with veins of calcite running through, which had formed around it during the process of fossilisation. This unyielding matrix had to be removed by force, using carbon steel tipped chisels and grinding wheels encrusted with industrial diamonds. The work took many hours over a period of weeks, and great care had to be taken to avoid damaging the skull and teeth as they became exposed. This was one tough old croc in life and death!"